The Global Leadership Summit has announced its lineup of speakers for this year’s GLS which is being hosted at 20 venues in South Africa in October and November — and as usual it includes influential business, justice and Christian leaders. Internet giants Facebook and Google will be represented, respectively by Cheryl Sandberg chief operations officer of Facebook and best-selling author of Lean In and Lazlo Bock senior adviser to Google and best-selling author of Work Rules! Top business consultants include Juliet Funt CEO of Whitespace at Work, sought-after business creativity expert Fredrik Härén, and Marcus Lemonis star of CNBC’s The Profit and CEO of Camping World and Good Sam, who has invested R540-million of his own in helping small businesses. Also on the panel are Bryan Stevenson founder and director of Equal Justice Initiative and dedicated campaigner for the poor, and Gary Haugen founder and CEO of International Justice Mission, a worldwide agency rescuing victims of violence, exploitation, slavery and oppression. 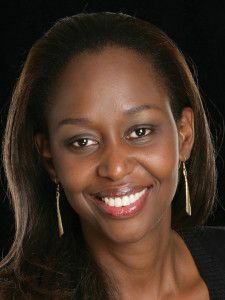 And originating from Africa is Immaculée Ilibagiza, a survivor of the 1994 Rwandan genocide, author and one of the world’s leading speakers on faith, hope and forgiveness. Pastor Andy Stanley leadership author, speaker and founder of North Point Ministries and, of course, GLS visionary and leadership mentor Pastor Bill Hybels, senior pastor of Willow Creek Community Church complete the 2017 faculty. “You have seen what happens when bad leaders are in control. What our country needs desperately is a new breed of unashamedly ethical leaders who make a difference. Leaders who are talented, highly skilled and equipped for their positions of power and influence. “We need to pour more resources and energy behind developing the next generation of leaders,” says Willow Creek SA who oversee the on-screen SA leg of the leadership conference which is being staged at 1375 venues in 128 countries. More information about the SA venues, dates and speakers can be found at www.willowcreeksa.co.za/gls-2017/ and you can register for the GLS at www.willowsaonline.co.za with early bird rates available if you sign up before April 30. I would like to know who and how many of the speakers are christian.